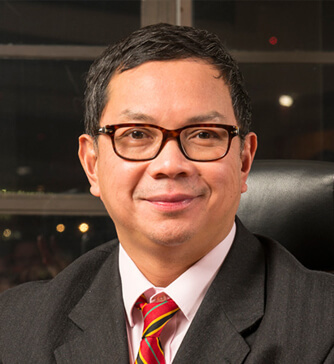 Mr Lam is a senior Consultant Spinal Surgeon with over 20 years experience in the treatment of complex spinal disorders. He helped establish the internationally renowned Spinal Unit at Guy’s and St Thomas’ Hospital London. He is now working full time at the London Bridge Hospital, which been accredited as a worldclass AOSpine Unit (since June 2016), as well as the King Edward VII Hospital and the London Clinic. He has published extensively and is regarded as a pioneer in innovative spinal surgery procedures, especially minimal invasive spine surgery, and has been involved in a number key product development for Depuy-Synthes, part of Johnson and Johnson. His research work is covered in excess of 100 published scientific papers and presentations in the UK, and internationally. He has lectured extensively in the UK and around the world, and belongs to the AOSpine National and International teaching faculty. Also he sits on the editorial Board of Spine and European Spine Journals. He was the first British recipient of the Gold Medal of Honour presented by Mde Chirac of France, on behalf of the Etoile Européenne du Dévouement Civil et Militaire (EEDCM). He was honoured for his work using minimal invasive techniques in the treatment of children with spinal deformities, and treating Royal Air Force, US Air Force and NATO ejectee pilots. On 29th Jun 2016, His Majesty King Kigeli V, of Rwanda, honoured him as a Knight Grand Cross of the Royal Order of the Lion for his work training surgeons from Africa. Mr Lam continues in both clinical and laboratory research into spinal disorders. He is a key opinion leader in the field of spinal disc replacements, paediatric spinal deformities, and minimal invasive spinal surgery and XLIF surgery and performs over 300 of these cases per year. He has been the surgical training supervisor to over 100 Advanced Training Fellowships for Spinal Surgeons from Africa, Asia, and the Middle East via IGASS and AOSpine (www.igass-spine and www.aopsine.org).